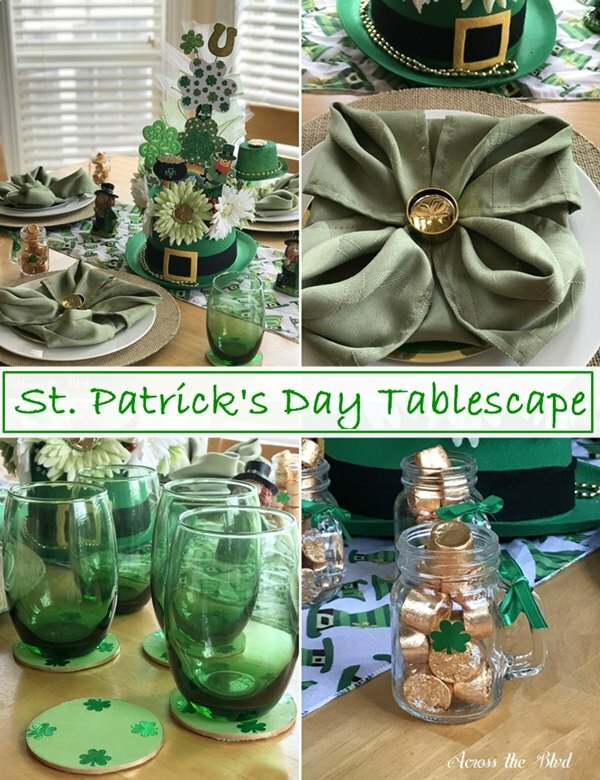 I've been using more and more copper accents in my kitchen and breakfast nook area. 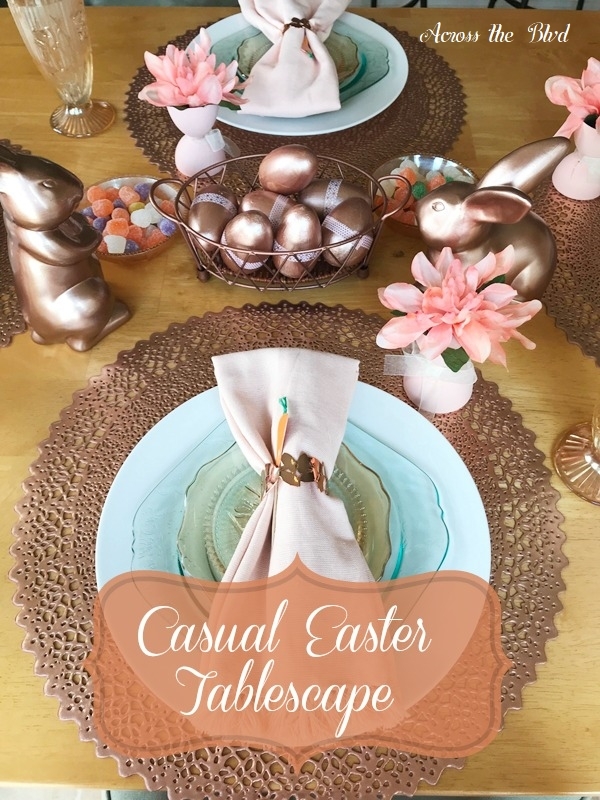 Continuing that look for our breakfast nook table for Easter was a fun way to incorporate lots of copper accents. This table is done in peach and copper with items I had on hand, a couple of DIY projects, plus a few . . . I don't use pink in a lot of my home decor, but the exception to that is at Easter time. Pretty pastel pink always makes me think of Easter dinner. 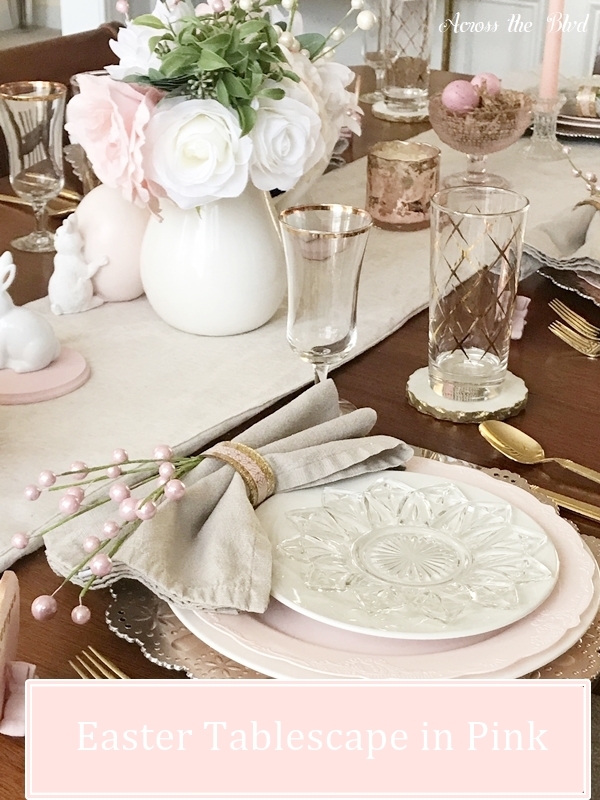 Every year, I use some pink elements for our dining table, but this year I've incorporated even more pink. 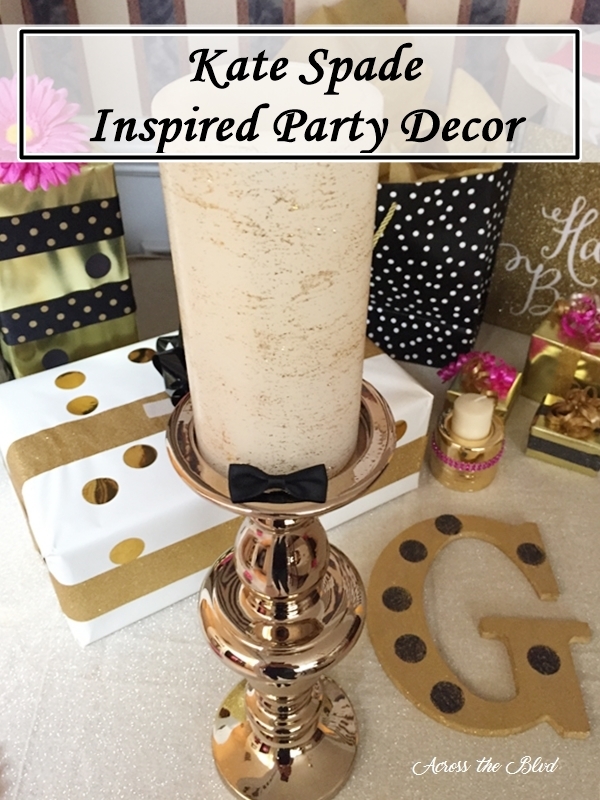 Gold accents and neutrals balance the pink. . . . I always enjoy adding place cards to our table for holiday meals. 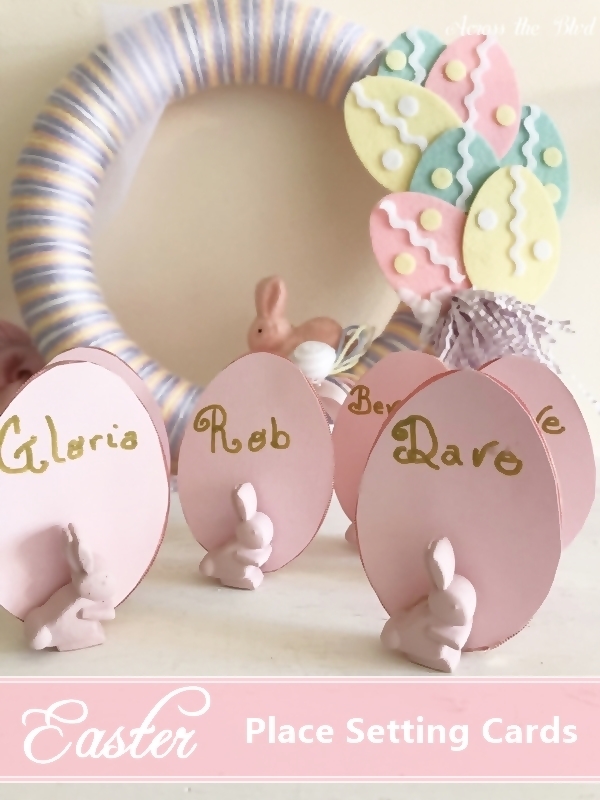 These DIY Easter Table Setting Place Cards were easy to put together and they didn't take long at all to make. They will be a fun addition to our Easter tablescape this year. Even when we only have a small gathering, having place . . . It's getting close to Thanksgiving so that means it's time to dress up our dining table for the holiday. 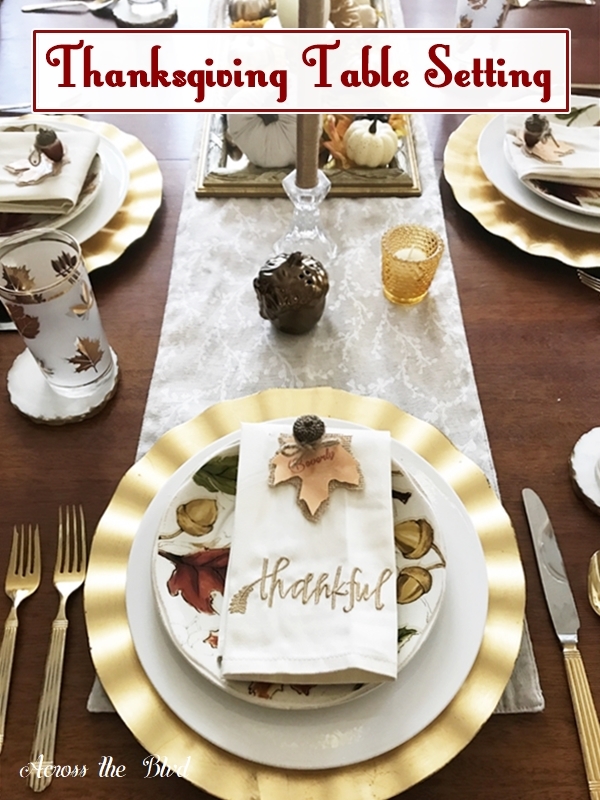 We don't have a large gathering for Thanksgiving, but I like to set a pretty table with place cards. For holiday gatherings, having place cards just adds a little something special to the . . . This year for our breakfast nook, I decided to play up the copper accents that I've been adding over the last year to this space and to the kitchen. 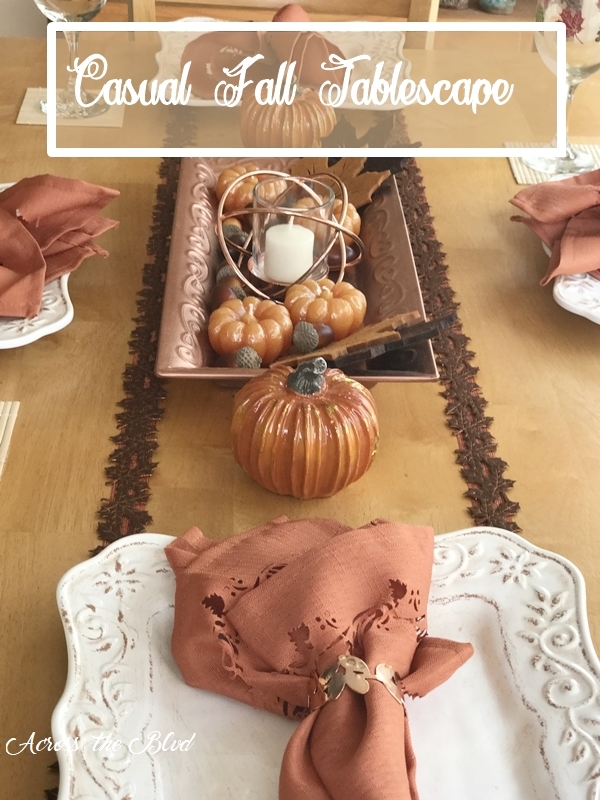 I found bits and pieces at various stores to put together this casual fall tablescape. 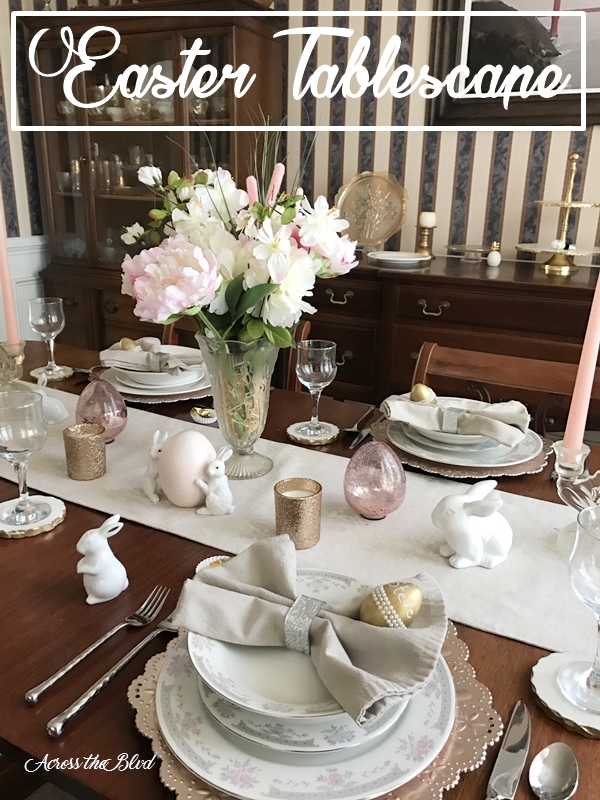 The colors all work together nicely to give me the look I . . .
A pretty tablescape for Easter dinner is always fun to put together. This year, I'm using mixed metals and bunnies for our dining table. A combination of gold, silver, rose gold, and pink complete the look. 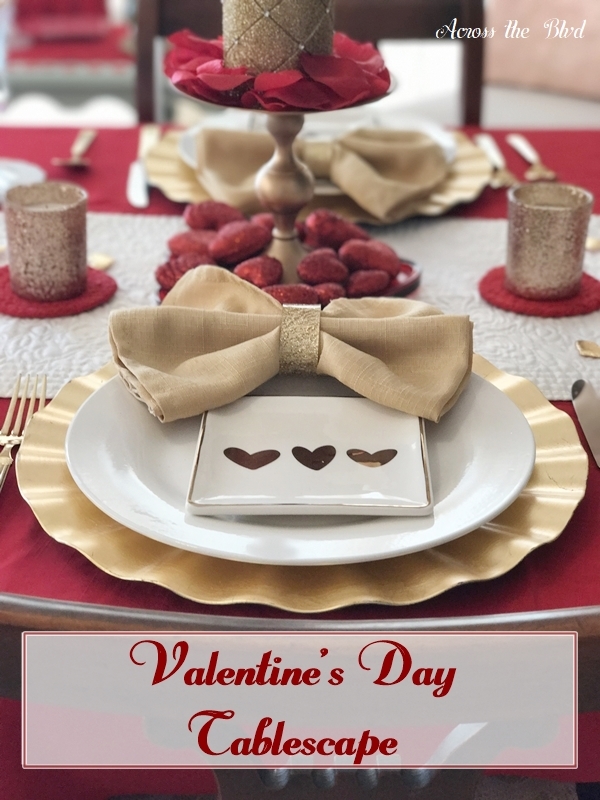 For me, creating a pretty tablescape adds some joy to any special occasion. . . . 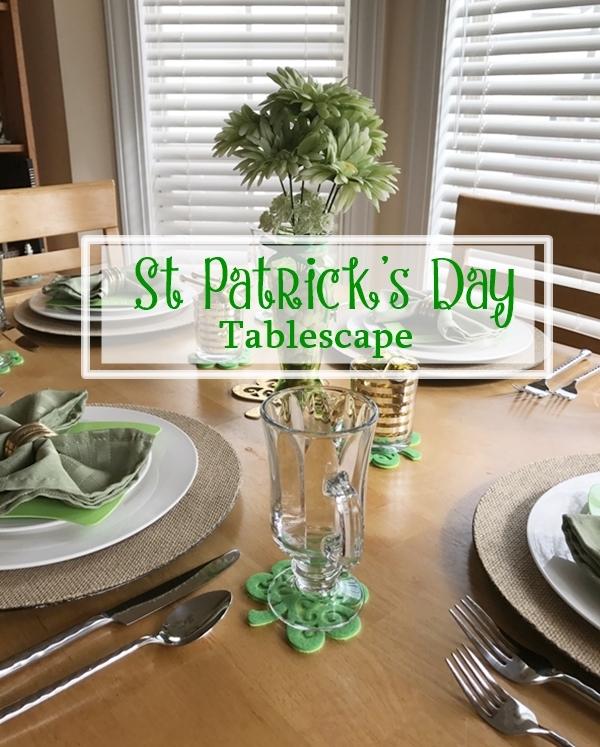 I put together a simple St. Patrick's Day Tablescape & Easy DIY Coasters. I wanted to add a little green to our decor for a week or so. To create the look, I decided to shop my home for items I already had. It's a fun look for our breakfast nook. . . .